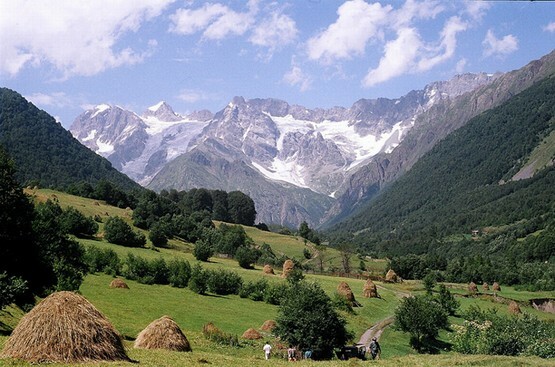 Satsivi (Georgian: საცივი) is a thick paste/sauce made primarily from walnuts and served cold (‘Tsivi’ means ‘cold’ in Georgian). 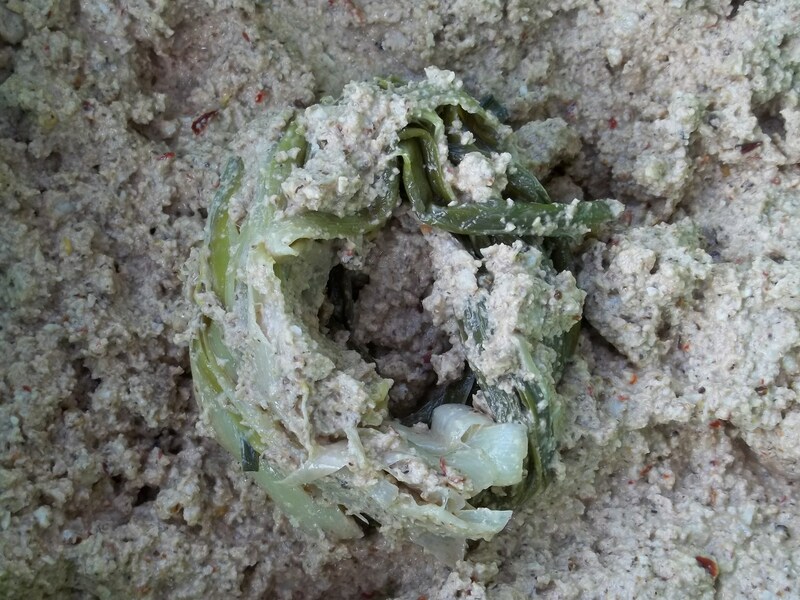 It is used in a variety of meat, fish and vegetable dishes. 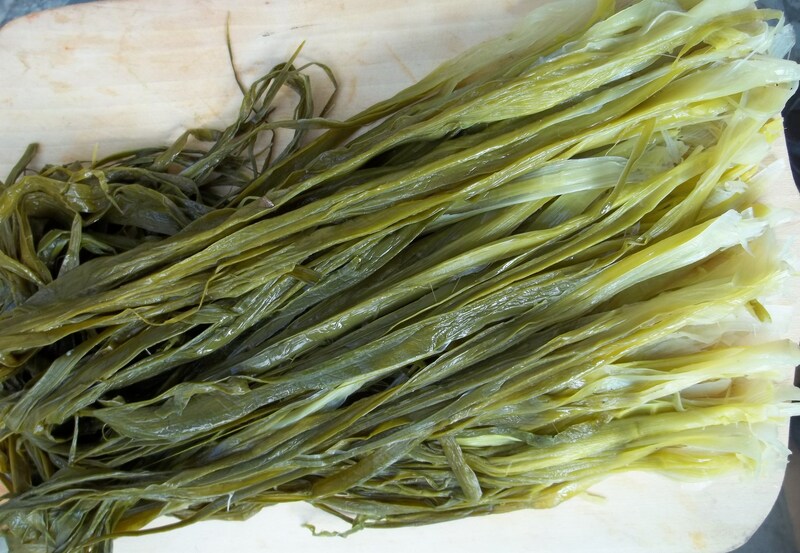 In this recipe we show how to make leek satsivi. 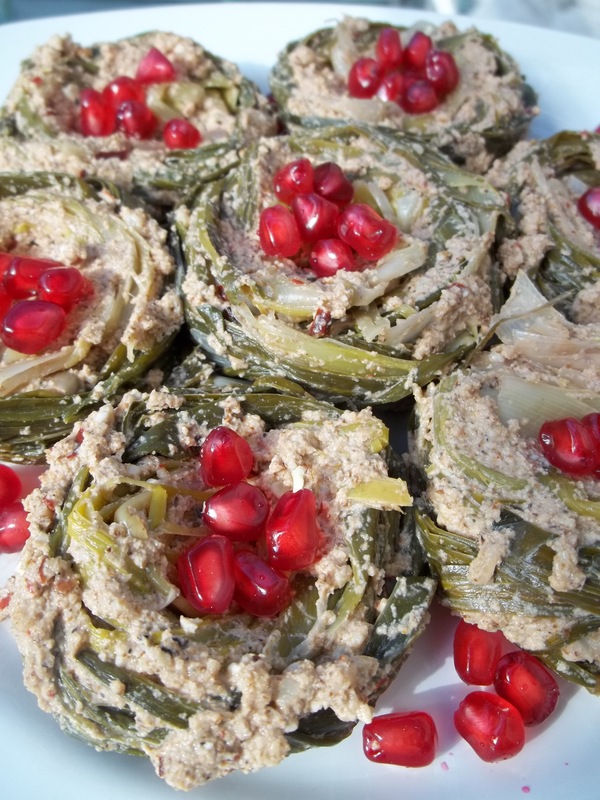 Ingredients: 1 kilo of leeks, 300 grams of walnuts, 5-7 cloves of garlic, 1 tsp of dried blue fenugreek, 1 tsp of dried marigold, 1 tsp of dried coriander, 1 tsp dried hot red pepper, salt (amount dependent upon personal preference), 6 tbs of vinegar and pomegranate seeds (for garnish). 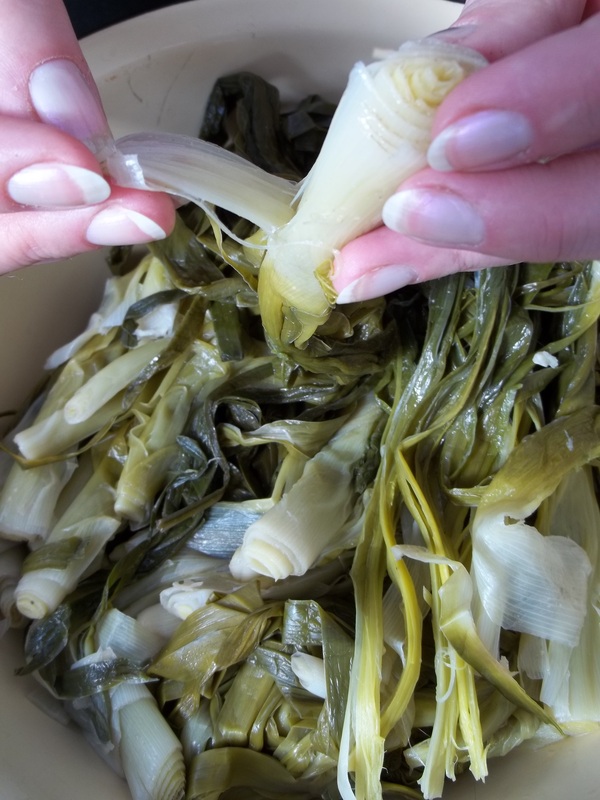 Preparation: Carefully wash the leeks to remove all soil and add to salty boiled water and boil for at least 25 minutes. Drain the water from the pot using a colander. Press the leeks with your hands to remove as much water as possible. 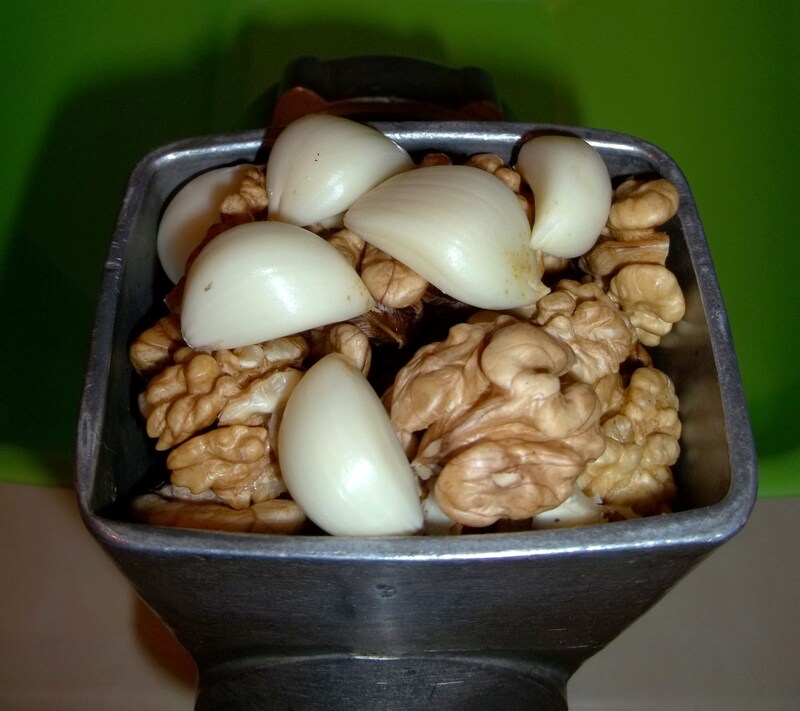 Grind the walnuts and garlic (we used a meat grinder). Gradually add 6 tbs of vinegar and 16 tsp of boiled, cooled water and mix thoroughly. 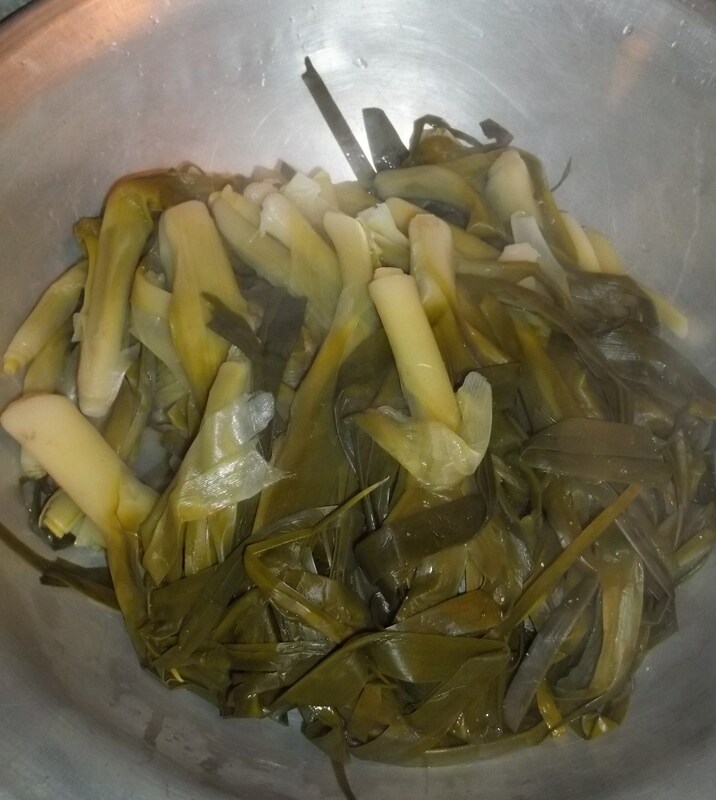 Peel thin strips from the boiled leeks. 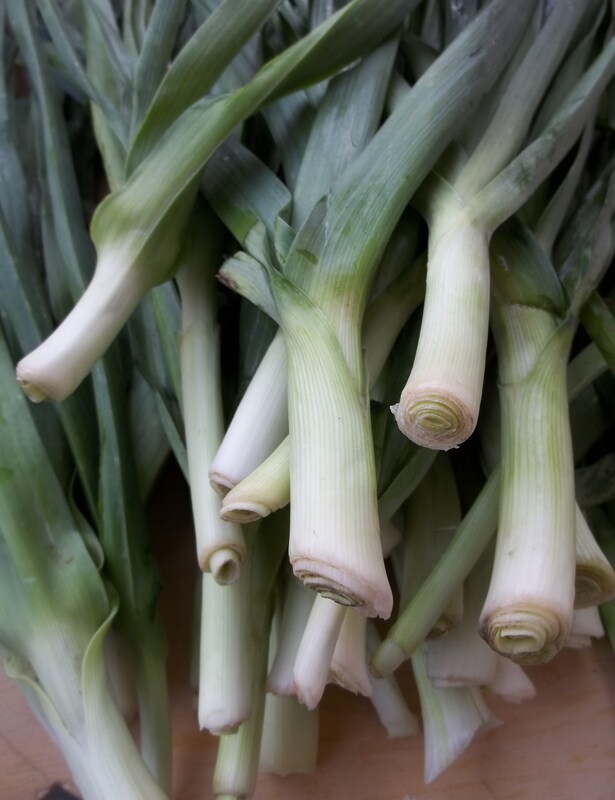 The prepared leeks should look like the picture below. 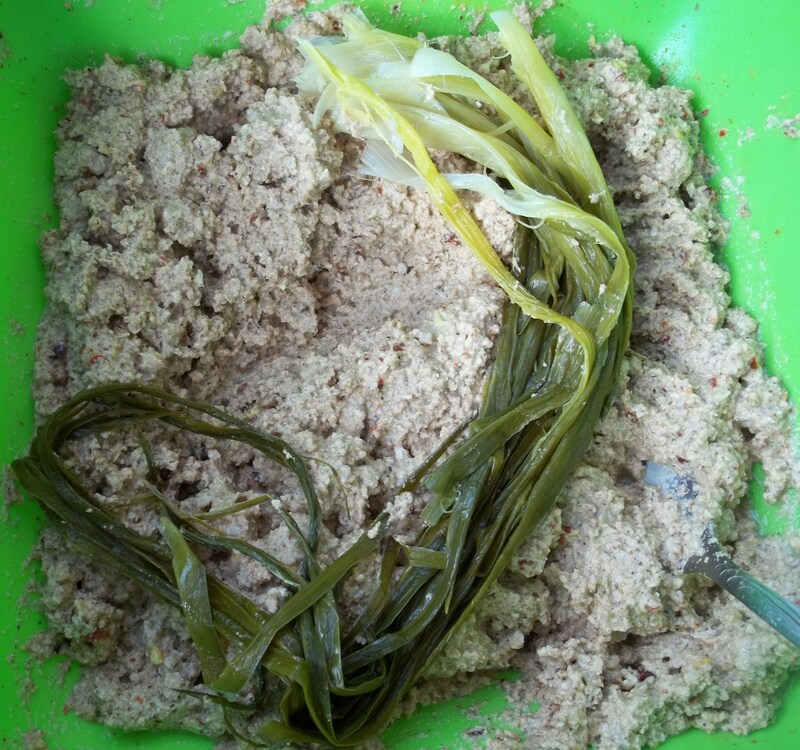 Take 10-12 strips of leek and carefully place in the bowl of walnut/spice mixture. 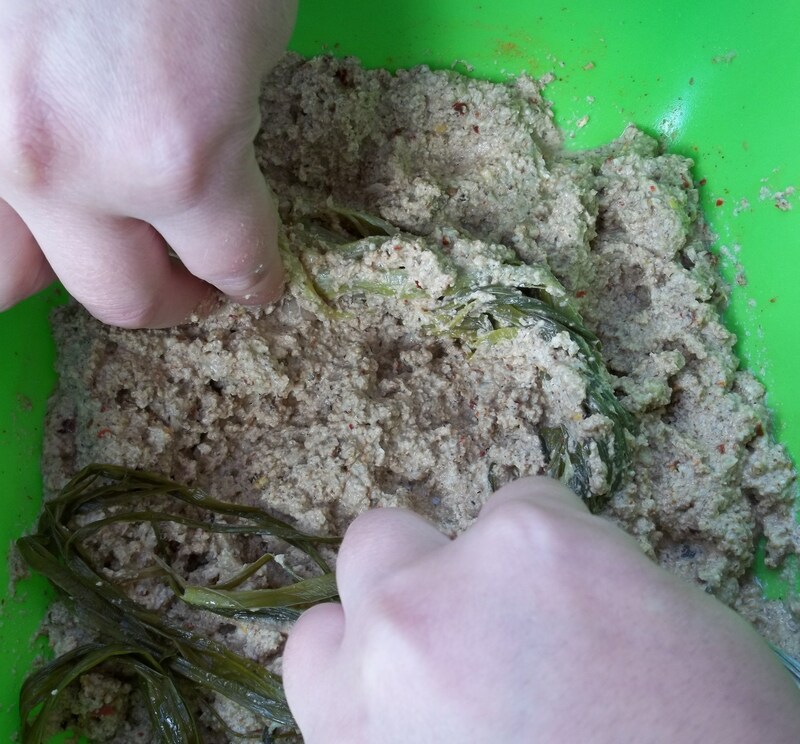 Use your fingers to coat the strips of leek with the walnut/spice mixture. Twist the strips to help ensure the individual strips are coated. 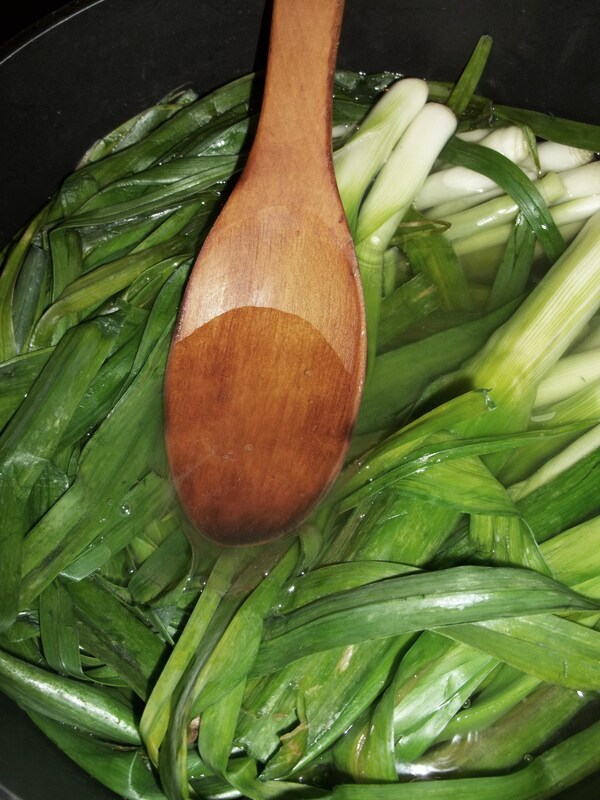 Form the coated strips of leek into a nest shape and remove from the bowl. 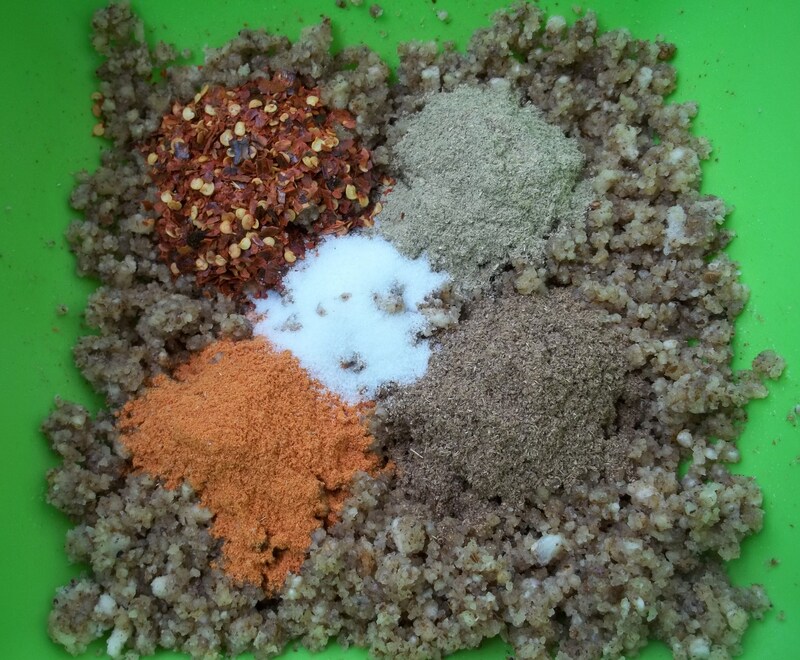 Repeat the coating process until all of the leek strips and walnut/spice mixture have been used. Serving: Serve cold. 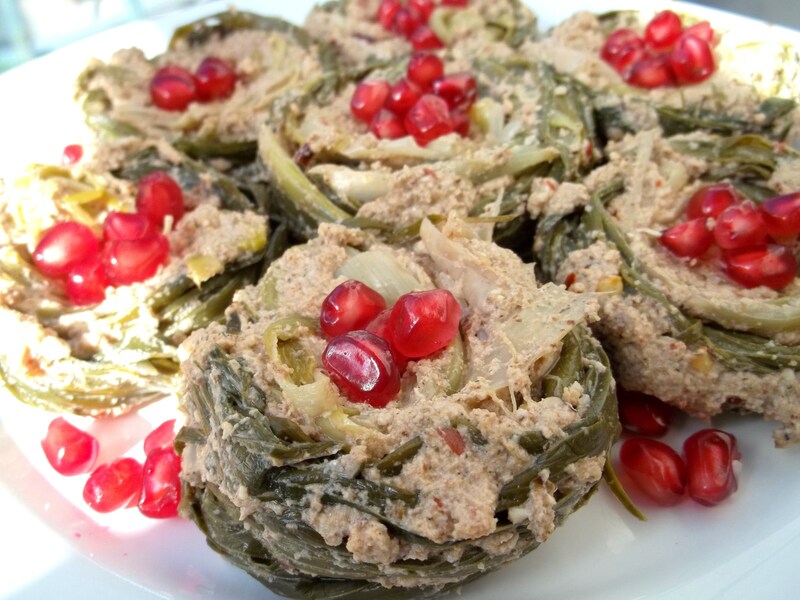 We garnished ours with pomegranate seeds. 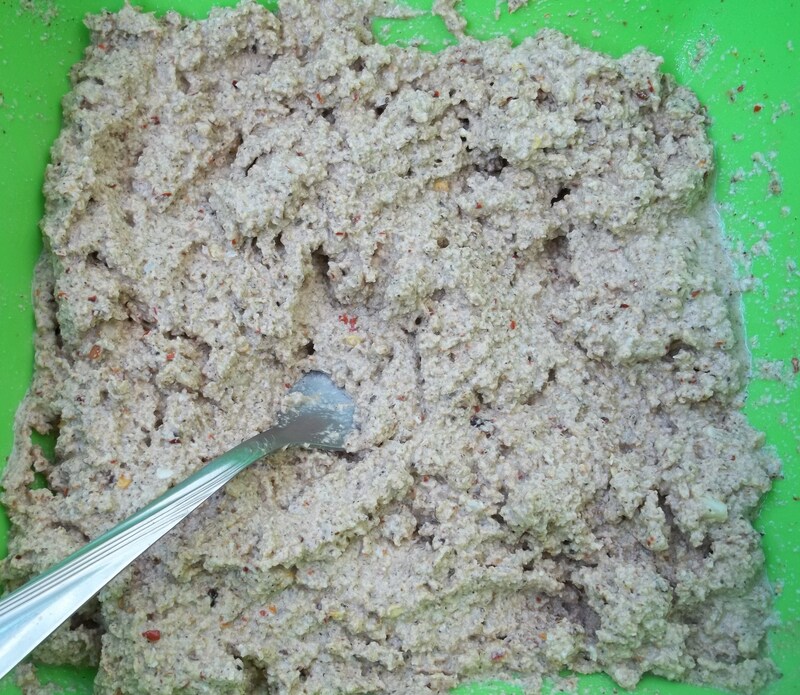 Click here to see a recipe for Bazhe walnut sauce (Georgian: ბაჟე).